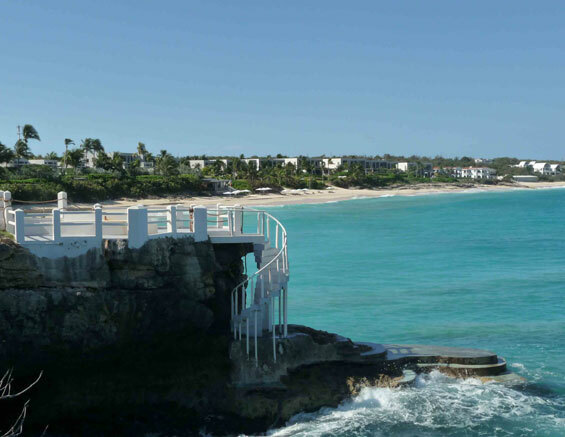 Viceroy Anguilla, a 35-acre resort at the west end of the island of Anguilla, is positioned to take advantage of its unique setting, boasting over 3,000 feet of beach frontage across two bays. Interiors blend seamlessly with exteriors as open walkways and courtyards provide views of the water as well opportunity for relaxing and socializing. 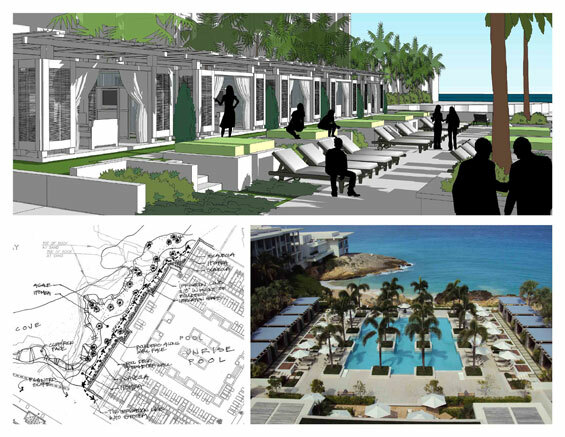 Creative use of a limited planting palette was achieved through site sketches and hands on design in the field. 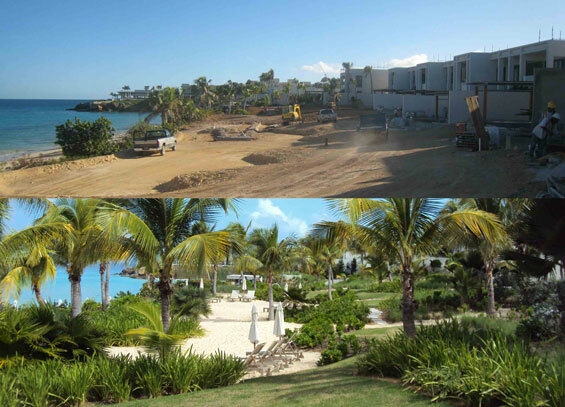 The accolades already credited to the Viceroy Anguilla are not unwarranted. 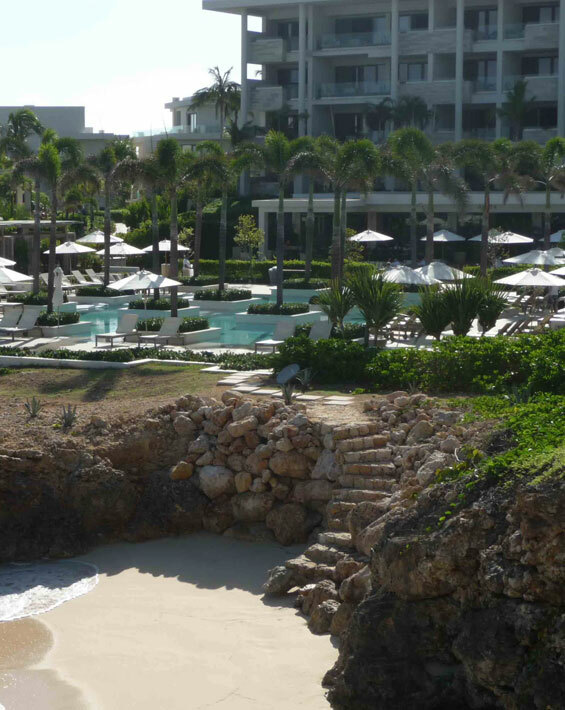 The resort and experiences offered have already been lauded in numerous publications during its short history; being labelled as the ‘reason to visit’ the Caribbean and appearing in several travel magazine’s ‘best of’ lists; not just because of the service and architecture, but also in large part due to the setting and landscape. In a departure from the normal process, the Landscape Architect was engaged once the project was well under-way The planning was already in place and several buildings had already been erected, but the owner’s vision for the landscape evolved during construction and the detailed design of the majority of the project was to be re-evaluated. In addition, the project had to overcome the legacy of several hurricanes and logistical challenges along with the global economic downturn which occurred during construction. The Landscape Architect’s mission was to provide an on-site design and management team to reinterpret the owner’s vision and work with the construction management team on a daily basis to construct it on schedule and within budget. The team was responsible for scheduling and coordinating construction crews along with the redesign of the remaining major elements of the project. This project won a Florida ASLA Award of Honor for 2012.